This strain is the most respectful colonizer of BRF. It fruits very early and very quickly. In fact pinning begins immediately after it’s complete with colonization, normally without any lag period in between. There is also little time between each flush. It’s recommended that spawn/substrate of this strain be incubated in dark place and/or use of a lightbulb high in red spectrum to inhibit premature pinning prior to initiating fruiting. This strain produces very ropy (rhyzomorphic) mycelium, shorter fat mushrooms but extremely meaty (we mean meaty), dense (solid) stems and flesh (BRF). When they naturally dry they retain much of their original size and shape appearing as if they were preserved in a commercial freeze dryer. This strain is capable of producing albino variations on occasion. 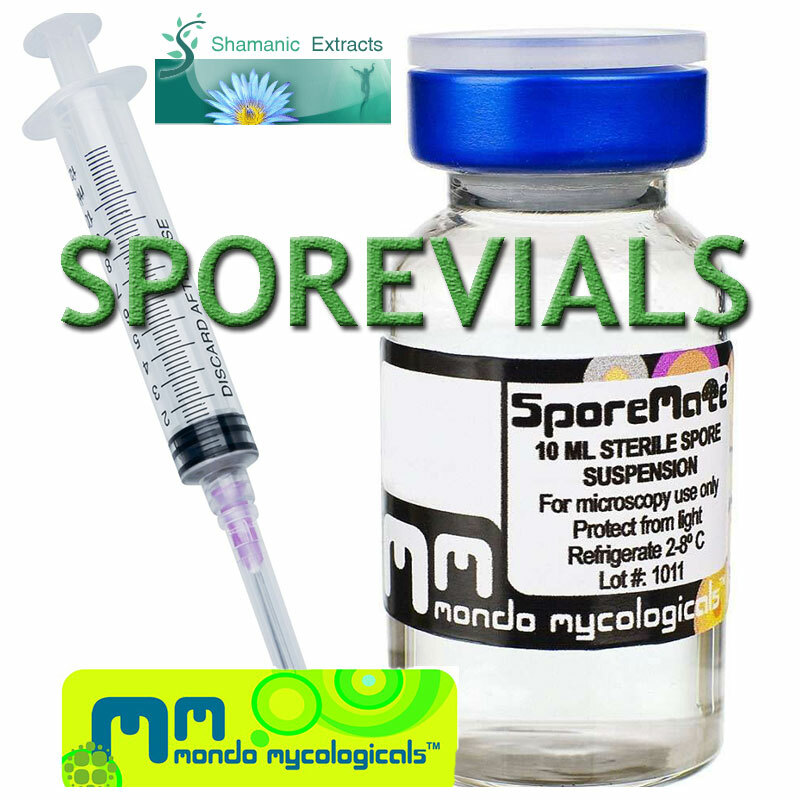 Share your experience about PF-original Spore Vial with other customers. Submit your tips or thought on this product, be detailed and specific.